The Sunshine State can&apos;t always live up to that name. Lucky for us, Tampa Bay has plenty of ways to get stay out of the rain while having fun. MOSI, the Museum of Science and Industry: While away an afternoon in the IMAX Dome movie theater and the planetarium, then roam the exhibits for Kids in Charge or build a robot You might want to skip the hurricane simulator just this once. 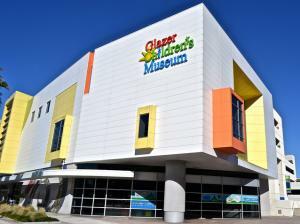 Glazer Children&apos;s Museum: Downtown&apos;s sprawling children&apos;s museum has three floors of activities to keep the whole family entertained. The enormous water table on the ground floor lets the kids do hands-on exploring; the climbing maze gets them to the second floor while having an adventure. Let them spent the day pretending to be firefighters, veterinarians, Publix workers, airplane engineers, construction workers, and much more. 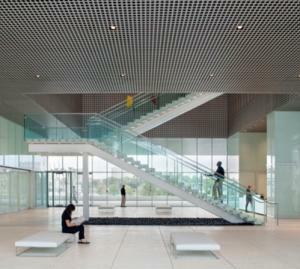 Tampa Museum of Art: Next to the Glazer, you&apos;ll find Tampa Bay&apos;s floating jewel box filled with artistic treasures. Along with regular traveling exhibits, you&apos;ll find its own collection of art ranging from ancient Greek to thoroughly modern. And -- luckily for both you and the art -- it&apos;s all climate-controlled! The museum is home to Sono Cafe, which has al fresco seating under the building&apos;s 46-foot deep overhang -- a shady spot where you can enjoy a great view of downtown and still avoid the rain. After sunset, the museum itself comes to life with a shimmering light display: "Sky (Tampa)" by artist Leo Villareal. 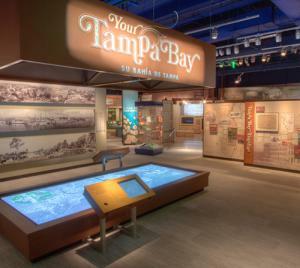 Tampa Bay History Center: 12,000 years of Tampa Bay history waits for you under one roof. Explore the roots of the unconquered Seminoles along with the industry that gave the Cigar City its nickname. Upstairs, you&apos;ll learn that about Tampa Bay&apos;s contribution to cowboy culture and to U.S. military history. 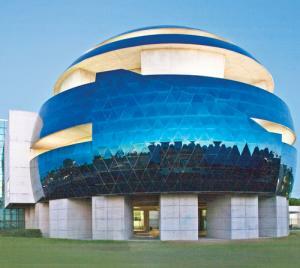 Hands-on exhibits bring the region&apos;s deep history and diverse culture to life. 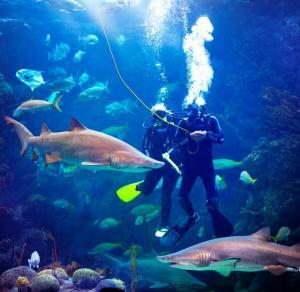 Florida Aquarium: The storm may be thrashing around outside, but inside the deep blue sea will keep everyone mellow at the Florida Aquarium. Discover Florida&apos;s watery environment, from springs and swamps to mangroves and the open bay and see 20,000 sea creatures along the way. Touch a horseshoe crab. Get your picture taken with a shark. Tampa Theatre: Lose yourself in another time when you settle into your seat at downtown&apos;s historic movie palace, built in 1926. The ornate plaster work, the balcony and the giant organ make this landmark a Tampa Bay treasure. Check out their regular offerings as well as their classics series for a way to beat the weather and enjoy a great piece of cinema at the same time. And after the storm passes? Sundown is the perfect time to hit Tampa Bay&apos;s outdoor attractions without breaking a sweat. 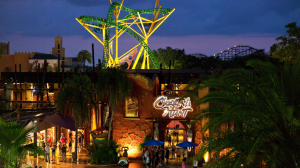 Busch Gardens Tampa/Adventure Island: Lets just get this out of the way: Both parks are great places to visit during the day, whether you stay cool with the wind whipping past you on Cheetah Hunt or get soaked as your raft sluices through the Colossal Curl. But night time offers an entirely different view of both parks. Tampa Riverwalk: Downtown&apos;s signature destination takes on a whole new light after the sun goes down. 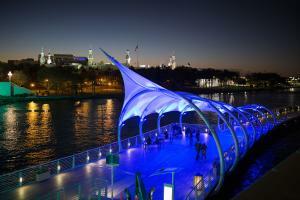 Colored lights add dimension to the Riverwalk, along with downtown&apos;s bridges (lit by "Agua Luces," an art installation from 2012), the minarets of Plant Hall, Curtis Hixon Waterfront Park, and the Tampa Museum of Art. Tampa TopGolf: Head out to Brandon and spend the cool of the evening practicing your drive at Tampa Bay&apos;s newest golf attraction. 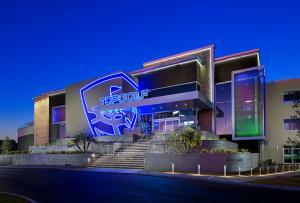 TopGolf has more than 100 bays on three levels, along with a restaurant, pool tables, Xbox stations, and a rooftop bar. The whole place is open until 2 a.m.
Ybor City: Pull up a chair at one of the outdoor tables lining Seventh Avenue for dinner after the sun goes down. 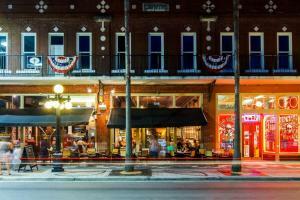 Tampa Bay&apos;s historic Latin district has plenty of places to eat, drink and make merry after the sun goes down. Try a craft beer at Coppertail Brewing Co. or sip a cider at Cigar City Cider & Mead. Tampa Bay&apos;s got plenty of ways to beat the rain!